Merck KGaA (hereinafter called Merck) was founded in Darmstadt 350 years ago and is still majority-owned by the descendants of the company founder. It is one of the leading science and technology companies in the healthcare, life science and performance materials sectors. Some 50,000 employees are currently employed in 66 countries. 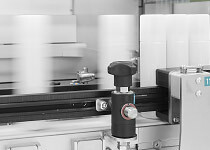 Merck has been using Pester machinery in the end-of-line packaging sector for many years. In 2016, three lines, including a track & trace system, were ordered for the Darmstadt location. The lines comprise banding machines, case packers and palletizers. A provided T&T solution was integrated on all machinery. The projects have now been completed successfully. Mr. Deichmeier, Merck’s responsible project manager, was kind enough to take part in an interview. Pharma market – quo vadis? What are the prospects for the pharmaceutical market? The trend is towards liquid dosage forms, particularly upscale products. As regards self-medication, the solids sector is sure to remain in place and will continue to justify its existence. There is also a tendency towards exact dosages for patients. This will be a concern for the healthcare industry in the coming years. What about the pharma production of tomorrow? From a technical perspective, pharma production is definitely moving towards Industry 4.0 and Pharma 4.0. This means that digitalization is going to be an extremely important issue in the near future. To a certain extent, it will revolutionize production. Machine manufacturers will have to prepare themselves in order to offer suitable technical solutions. The issue of data security will continue to gain an increasingly important role. Especially with regard to the counterfeiting of upscale medicine products. Which trends do you see in pharma packaging? At the moment, the trend is towards liquids and pens, particularly in the oncology sector and applications using insulin. PP film on blister packages is no longer really an issue. Generally speaking, the trend is towards full automation, from the filling process to the pallet. What are Merck’s specialties and where do they differ from the competition? Being the oldest pharmaceutical company in the world speaks for the quality and innovation. Merck still conducts research by itself which is no longer a matter of course in the pharmaceutical world nowadays. Suitable innovation campaigns have also been initiated. Not only is Merck well-positioned in the cancer medication sector, but also in the chemical sector, for example OLED for the production of displays. Which challenges do you face in the future? We have to see the patient in the foreground without losing sight of the costs. In addition, we need to find a mix of conventional and modern production. Of course, this also includes digitalization in the direction of Industry 4.0 (Pharma 4.0) with all the consequences for the operator and supplier in order to be able to produce cost-effectively and transparently. What is your main focus when choosing your packaging machinery? Reliability is key, not only as far as the sales side is concerned but also later during the entire project handling. It is important to have a contact we can trust both during the quotation phase and during the complete project term. Experience made during the integration and collaboration with T&T manufacturers available on the market play a decisive role. It is very important for our company to have suitable resources. Pester’s decision to set up a separate unit was a significant step. One crucial point is the after-sales service with the inclusion of commissioning, training and maintenance. The equipment’s availability and productivity throughout the entire life cycle depends essentially on service. What do you appreciate about your current cooperation with Pester? I highly value the team-oriented and transparent collaboration with all concerned and the productive way in which any problems that can arise in any project are tackled. Pester always finds a constructive solution. What are your expectations towards future collaboration between customers and Pester? Despite its immense growth, I hope Pester doesn’t lose its human touch, personal relations and its eye for detail. It is also vital for Merck that contacts do not change during a project. This creates trust and both parties know what the expectations are. In addition, a realistic estimation of fieldwork times would be appreciated, particularly the time involved for conversions. Tight calculations only lead to unnecessary stress. Changes, and the process up to the production line’s re-release, are particularly prone to underestimation. Why do you rely on Pester’s equipment? Right now, Pester has the highest level with regard to technology, pharmaceutical requirements and project handling. Particularly the quality of the machinery and the fact that the complete end-of-line machinery comes from one source are crucial factors. The pharma-compatible design is of fundamental importance. The short changeover times and easiness to clean round the whole thing off. All these advantages increase the productivity and availability of the equipment. Furthermore, the flexibility when integrating T&T systems is a key factor. What do you think distinguishes a fruitful and long-lasting partnership with a supplier? Short reaction times during quotation management, during project changes and later on during the application of service. Mutual trust is what makes the difference. You have had Pester machinery for many years. What was your experience throughout the entire life cycle? What were the greatest challenges during the project phase? The challenge begins with the performance specification. We can’t afford for anything to be forgotten; it only catches up on you later on. After awarding a project, it is vital to be kept permanently informed on the project’s progression. The FAT also plays an important role. Everything needs to have been implemented and then the tests documented within a short time slot, making sure that all specific requirements really were implemented. That is why it is important to link the payment conditions to this phase. The installation and commissioning are also key. This is where it becomes clear whether the integration of the upstream equipment and link to superordinate systems function as required. A successful integration of the T&T system is decisive. The final qualification of the equipment is another important step at which a supplier’s offered service comes into effect. From a technical point of view, what will the optimum end-of-line packaging machine look like in the future? Merck would like an HMI for all systems and it should include troubleshooting. Reinforced safety doors, made of glass for example, are another aspect. Pester thanks you and your team for your confidence and for the outstanding cooperation defined by mutual respect and trust. We look forward to further successful projects in the future.